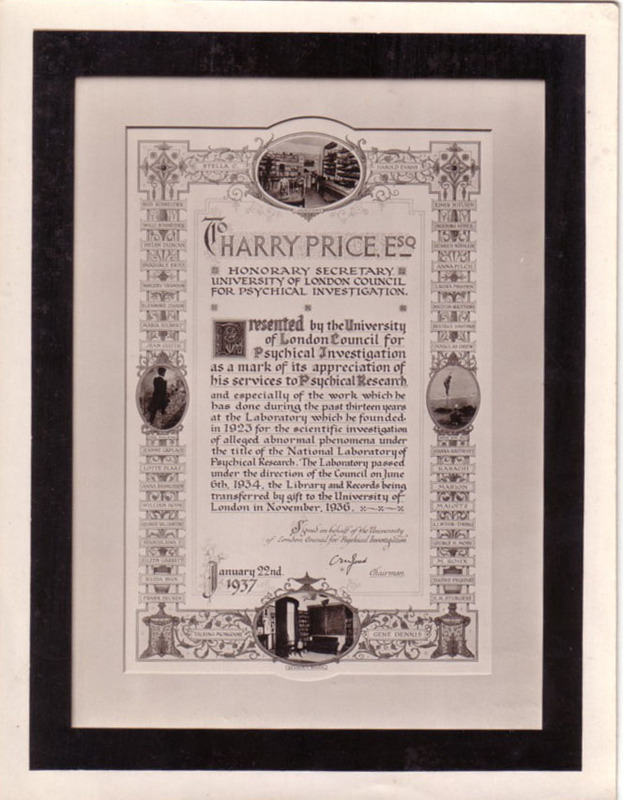 A charismatic and enigmatic character who bestrode the world of psychical research for something like thirty years, Harry Price's achievements were original, far-reaching and of considerable value to those who sought to follow his search for truth. They included an exhaustive, remarkable and unique collection of books and pamphlets devoted to magic in its widest sense (which he bequeathed to the University of London); the longest, most comprehensive and original investigation of a haunted house ever carried out; scientific exploration of supernormal phenomena (mediumship, spiritualistic and psychic activity, haunted houses and such like ); the first broadcast experiment in fire-walking; the first live broadcast from a haunted house; the revival of the Ghost Club in its fourth span of life and some twenty books of which perhaps the best known are The Most Haunted House in England (1940), Search for Truth (1942), Poltergeist Over England (1945) and The End of Borley Rectory (1946). He was also European Research Officer of the American Society for Psychical Research and an enthusiastic contributor to scientific journals, psychic publications and newspapers and periodicals such as The Listener and Light. 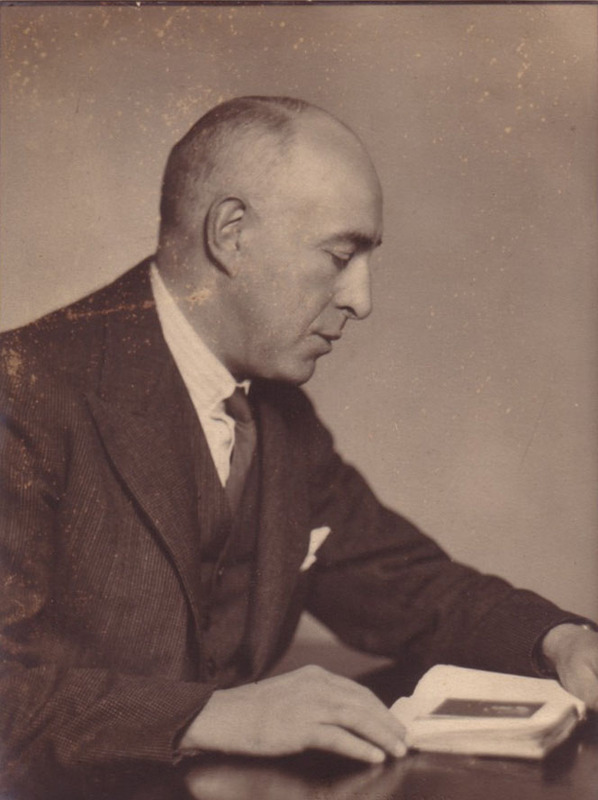 After the deaths of Sir Oliver Lodge and Sir Arthur Conan Doyle, Harry Price became the embodiment of psychic research worldwide and anyone, British or foreigner, wishing to obtain information and advice on problems of psychic activity, in nine cases out of ten it was to to Harry Price that everyone turned. He had already contributed authoritive articles to the Encyclopaedia Britannica while among his more bizarre cases there was the 'exploration' of Gef the talking mongoose on the Isle of Man, spending part of a night in a reputedly haunted bed in a museum in Chiswick in the company of Professor C.E.M. Joad and attempting to turn a goat into a handsome yound man in a 'magic' ceremony in the Harz Mountains. At the time of his sudden death in 1948 he was busy on several lines of research into the unknown. Whatever critics might say - and of course with hindsight some things could have been better handled - Harry Price fought a long, lone battle against those who derided the whole world of the occult on the one hand and the fanatical believers in spiritualism on the other. He was especially well-prepared for exposing fraudulent mediums and indeed charlatans and mountebanks of every description since while still a youngster he became fascinated by conjuring, 'magic' tricks, unusual claims, apparent wizardry, illusionists, hypnotists, thought-readers and fortune tellers and in later years he became an adroit conjurer himself. Soon he became a member of the Magic Circle, was elected to the Society of American Magicians and, in 1921, was the Honorary Librarian of the exclusive Magician's Club. He addressed the Occult Committee of the Magic Circle and repeatedly took to task those formidable conjurers, such as the Maskelynes, who refused to accept that any psychic activity was genuine. He founded and ran a National Laboratory of Psychical Research (another first) and attracted to its membership such luminaries as Professor A.M. Low, Professor R.J. Tillyard, Professor (later Sir) Julian Huxley, while his Ghost Club members and guests included Algernon Blackwood, Dr C.E.M. Joad, Professor S.G. Soal, Siegfried Sassoon, Sir Ernest Jelf (Master of the Supreme Court), Sir Arthur Conan Doyle, G.J. Yorke, Sir Albian Richardson KBE, author and artist Robert Gibbings, Osbert Sitwell and actress Mabel Constandurous. It has been said that in his search for truth every kind of seemingly abnormal happening came under his careful scrutiny, from mediumship and the Indian Rope Trick to fire-walking and strange and persistent poltergeist activity. Some magicians did appreciate what he was trying to do. Will Goldston, Vice-President of the Magician's Club wrote in one publication: 'Harry Price has a unique position in the magic world. He is the Hon. Director of the National Laboratory of Psychical Research and has sat with every spiritualistic medium of note in this country and on the Continent. He possesses the largest library of magical books - probably in the world - and he has invented many magical effects and has given me some of the most valuable secrets for inclusion in my book, Great Magicians' Tricks.' Later Price was elected a Vice-President of the Magicians' Club and a member of the Inner Magic Circle, an almost unknown honour for an amateur conjurer. The case of haunting most closely associated with Harry Price is undoubtedly the Borley Rectory case. He first visited the remote Essex rectory in 1929 and for the rest of his life, on and off, he continued his interest and investigation. At the time of his death in 1948 he was engaged in preliminary work for a third volume on the mysteries of Borley, as intrigued as he had been the first time he heard about the case nearly twenty years earlier. On his initial visit to the area he asked his way to Borley Rectory as he passed through Sudbury and the local inhabitant replied, 'Oh, you mean the most haunted house in England'. The phrase stuck in Price's mind and ten years later he called his famous book on the case 'The Most Haunted House in England', being careful to put the words in inverted commas since they were a quote and not, as many people have thought, his own judgment. In my Borley Postscript (White House Publications, 2001) I include an 'off the record' report of Price's introduction to this remarkable case of haunting, an account of the first night Price and his then secretary for some five years, Lucie Kaye, spent at Borley. It is a revealing document. 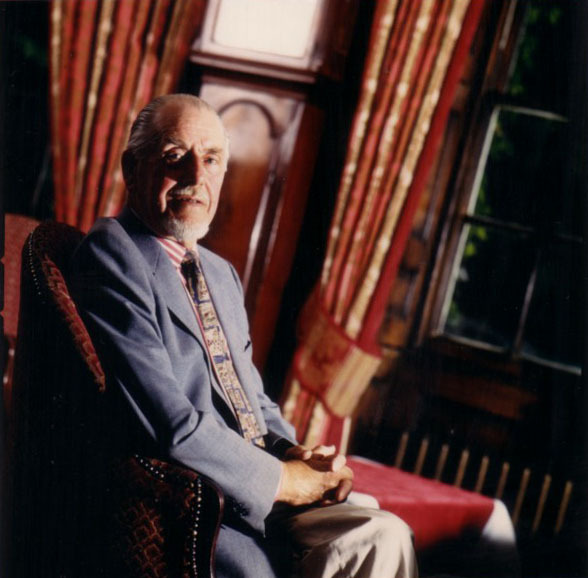 Over the next few years Price and his associate Sidney Glanville interviewed everyone they could who had personal experience of the haunting; an exercise that resulted in 'The Locked Book of Private Information' which contains many surmises, suggestions allegations and libellous statements. I possess a complete copy. From 1947, when I first visited Borley and spent a night in the grounds of the vanished rectory, I too traced just about every living person who had any knowledge of the case and my records contain notes of interviews, correspondence and recordings that contribute to the overwhelming evidence for Borley Rectory being labeled 'the most haunted house in England'. One example is Ellic Howe whom I came to know well. He was, like Harry Price by all accounts, a most interesting individual. A member of the order of the Golden Dawn, an exceptional author, a valuable worker on British propaganda during the Second World War and a man of great charm. As an Oxford graduate he went to Borley with Price in June 1937to set up the Base Room and to make a careful and thorough exploration of the haunted rectory, ringing every movable object with a chalk circle. Later, as the evening wore on, they made another careful tour of the rectory and then decided to spend the night there. After some time, they both heard tapping noises followed by two loud thumps and the sound of a slamming door. An immediate search revealed no explanation for the sounds. For a time too, they watched the house from the outside without any results. The night had turned chilly and they decided to return to London. Like me Ellic Howe had been a member of Harry Price's Ghost Club and he took part, at my invitation, in a special meeting I organized at the Savage Club to celebrate the centenary of Harry Price's birth; I also persuaded him to address the club on two occasions and he subsequently told me that he had witnessed movement of small objects at Borley which Price could not have caused, incidents that took place in the Blue Room and elsewhere when the rectory was deserted. Ellic Howe told me he knew Harry Price well, as indeed he did, and he considered it to be out of the question that Price should have put on such a show for his benefit - even if it had been possible for him to do so, and he always maintained that as far as the phenomena that had occurred while he was present was concerned, there was no way that Price could have been responsible. 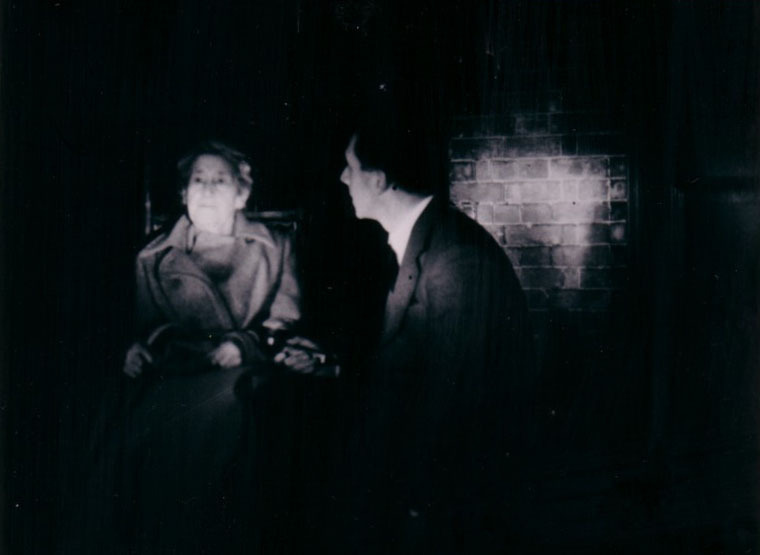 We must remember that it is an indisputable fact that everyone who lived at Borley Rectory, four successive rectors, their wives and families, all asserted that they heard, saw and felt things they were unable to explain. Borley Rectory has been the subject of six major books (in addition to several minor volumes), a dozen broadcasts and TV programmes, hundreds of articles from all parts of the world and not a little argument and discussion. It is a story that never fails to intrigue and interest thinking people. As with ghosts and hauntings in general I believe it is only necessary to look at the evidence, fairly and impartially, to become convinced that on occasions paranormal happenings occurred at Borley Rectory and it is a sobering thought that if just one of those reportedly paranormal happenings could be satisfactorily established and accepted by science, it would be necessary for us to face the fact that our physical account of the world is incomplete - perhaps that is why science in general refuses to accept overwhelming evidence. After all the haunting of Borley Rectory is the only case of haunting that has survived many years investigation on scientific principals. Incidentally I consider myself fortunate in possessing a number of relics from the old rectory including the famous Great Bell that hung in the courtyard from 1863 to 1943 and at Price's home from 1943 to 1973 when it was presented to me for my work as Literary Executor to the Harry Price Estate. As I pointed out in a lengthy article I wrote for Book Collector (October 2001) the most remarkable case of alleged materialisation which Price ever witnessed was in 1937 and has become known as 'the Rosalie case'. I have been fortunate enough to examine the original documents relating to this case and it is truly remarkable. The apparent materialisation was that of a naked young girl who died in 1921. Price published the story in the book that he was always especially proud of: Fifty Years of Psychical Research, subtitled 'A Critical Survey' and although he only had the one sitting and had been permitted to be present only on strict conditions that included not revealing the identity of any of the sitters or the exact locality of the house where the séance was held, a house in south London. He was not allowed to use a torch or do anything but observe, but he was permitted full control of the room and the sitters up to the beginning of the séance and he was allowed to search the house from top to bottom, seal doors and windows, remove some furniture and generally control things within reason. For the actual séance Price seated himself between 'Rosalie's' mother and the wife of the owner of the house. The other three sitters were the house owner, his seventeen-year old daughter and her boyfriend. In the event, when the child apparently materialised Price was permitted to hold the child and run his hands over the body which was that of a little girl of about six years of age. He felt the pulse, established there was a heart beat, saw the form to an extent by the means of a carefully held luminous plaque and he was allowed to ask the child six questions. He only received an answer to his last question when he asked, "Rosalie, do you love your mummy?". A lisped "Yes" came in reply. Shortly afterwards 'Rosalie' disappeared without a sound. After the séance Price was again permitted to make any kind of search he desired. He found all his seals intact and nothing disturbed in the séance room. He continued to explore and examine everything he could think of and and then, thoroughly mystified, he left the house just before midnight. He never had the opportunity to return to the house and he published the account 'with considerable hesitation'. Mrs K.M. Goldney, MBE, a prominent member of the English Society for Psychical Research, saw Harry Price and his secretary the day after this remarkable experience and she told me that Price appeared to be deeply disturbed, almost distraught, and undoubtedly shaken to the core by what had happened. He told her the story in great detail but could not bring himself to say that the experience had convinced him that there was life after death. Nevertheless it was an experience that puzzled him for the rest of his life and his biographer, Dr Paul Tabori, told me that he was completely satisfied that Price was telling the truth about the affair and that he was both frightened and shaken by the experience. I never met Harry Price although I conducted a mass of correspondence with him: he was the most prompt correspondent I have ever encountered; and I missed meeting him by only a few hours. During the course of our correspondence he invited me to join his Ghost Club, then limited to 500 members. I joined in 1947 and my Membership Number is 496. We had arranged to meet on the Tuesday and he sent me a note confirming these arrangements and it could well have been the letter he went out to post on Sunday 29th March 1948 before he returned to his home, Arun Bank at Pulborough, where he settled himself into his favourite armchair and promptly suffered a fatal heart attack. 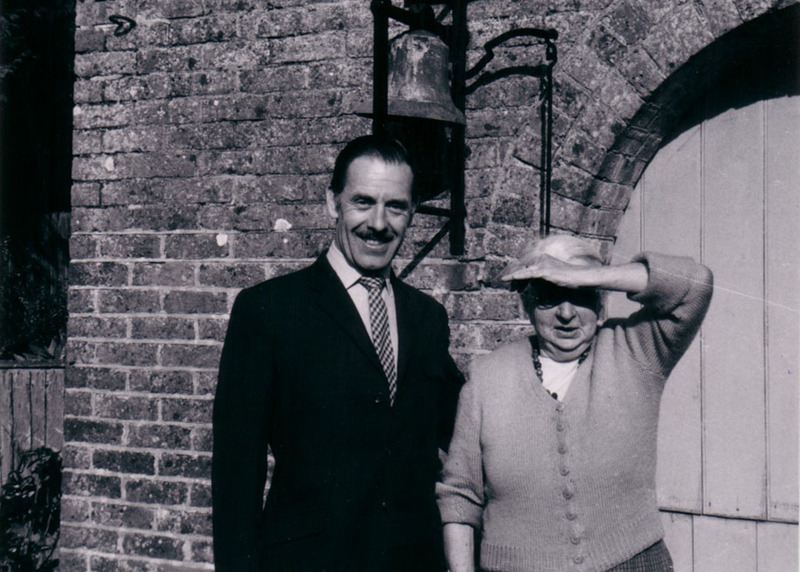 In 1968 nearly twenty years after Price's death, I visited his widow, Constance, at Arun Bank where they had lived happily for almost forty years and it seemed that he had just popped out and would be back any moment. Nothing was changed, even Harry's coats and walking sticks were still in the hall, his photographs covered the wall of one room and his books had a favourite place beside his armchair. After the sudden death of Paul Tabori, who had become a good friend, on the night he and his wife Kate attended a Ghost Club Annual Dinner, Kate telephoned me with the sad news and I expressed my sorrow and feeling of sadness but she told me that if Paul could have chosen how to spend his last night on earth, she was confident that he would have chosen to be with his many friends at the Ghost Club, of which I was by then President. Renee Haynes, a long-respected member of the English Society for Psychical Ressarch and Editor of the Society's Journal and Proceedings for over ten years, has referred in print to Harry Price as 'one of the most fascinating and storm-provoking figures in psychical research.....a man of great ability, great energy and great kindness.' As I said in my Book Collector article: 'It is unlikely that we shall see his like again.' But the work he did and the remarkable library he amassed are memorials to an individual of great talent and a man whose ingenuity, integrity, generosity and dedication stand alone in the realms of psychical research. This original article was written exclusively for this website by Peter Underwood and remains his copyright 2005 together with all accompanying photographs. All original text, photographs & graphics used throughout this website are © copyright 2004-2010 by Paul G. Adams & Eddie Brazil. All other material reproduced here is the copyright of the respective authors.